As many of you know, I have a relaxer. However, I only get relaxers every six months, or twice per year. If you are used to getting a relaxer every six to eight weeks, this can seem foreign to you but trust me when I say it is not that bad! In all actuality stretching your relaxer will make your relaxed hair much healthier. Have you noticed that since you have had your relaxer that your hair seems to be thinner, weaker, and have more breakage? Well that is because you are getting your relaxers too soon. No need for concern though! 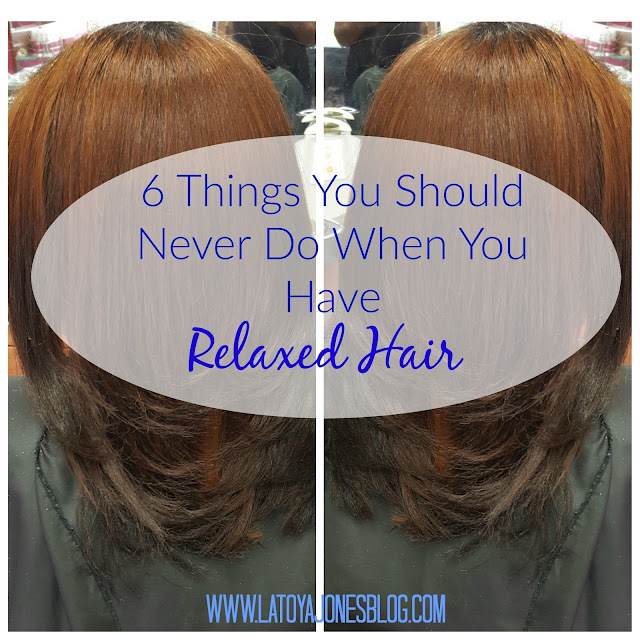 Today, I am here to tell you six things you should never do when you have relaxed hair. Let's get started. Never use too much heat- Having relaxed hair means that your hair is permanently straightened. With that being said, there is no need to use too much heat. The chemical has already taken most of the work out of the equation for you. Going through the hair with only pass is enough with relaxed hair. Never use heat at high temperatures- This ties into the previous statement. The chemical has taken the hard part of straightening the hair away so relaxed hair does not require a lot of heat at high temperatures. I recommend starting at 350 degrees for coarse hair and 325 degrees for fine hair. You should not use heat on the highest setting for relaxed hair. 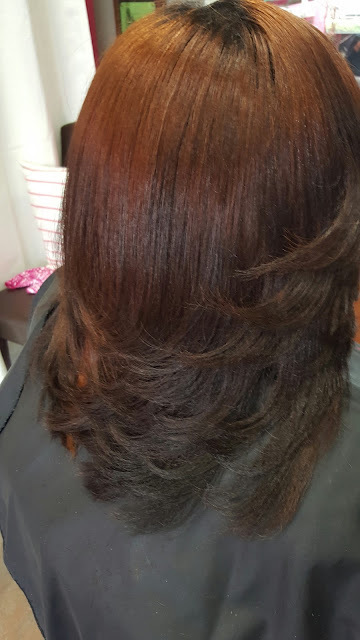 Never get permanent hair color too light- I always say to pick which chemical you want more, the relaxer or the permanent color. If for some reason you feel like you have to have both, do not color your relaxed hair more than two shades above your natural hair color. If you have black or dark brown hair and want blonde highlights on your relaxed hair, I would not suggest that. The lighter you go, the more work it is on the hair and relaxed hair can not take too much extra work. So, stay within two shades of your natural color to avoid breakage and shedding due to color. 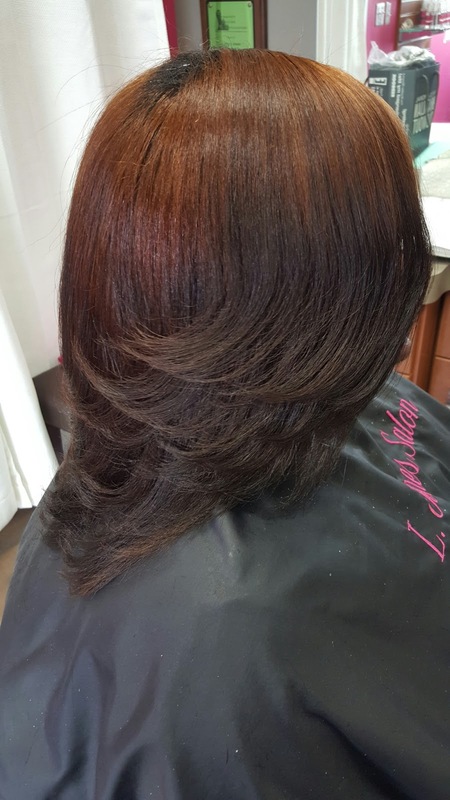 Never scratch your hair- Before you get a relaxer service, it is very important that you do not scratch your scalp, which also includes shampooing. This makes you more susceptible to getting scalp burn. But it never fails that when you know you are about to get a relaxer, it seems like your scalp always itches! Instead, rub for comfort instead of scratching. Get them too soon- Getting your relaxer too soon is always a recipe for disaster when it comes to your hair. Too soon is anything less than 12-14 weeks or when you see two inches of new growth. Doing this causes the hair become over-processed and weakened, which always results in breakage. Space your relaxers out until you at least see two inches of new growth to keep your relaxed hair healthy. These are the six things you should never do when you have relaxed hair. I hope this helps all of my fellow relaxed haired women in making their relaxed hair healthier. Until next time! Great tips...i think ill go back to relaxed hair! Hallelu!